Type your programming query in Bing’s search box. The search engine’s advanced algorithm will extract the code snippet (if available) from any indexed article, forum discussion, or online documentation. The answer is displayed in the search result with a link to the source article. Bing uses natural language processing and is smart enough to differentiate between a code query and a non-code query. The Bing blog also says that this search feature works for languages outside of the Microsoft family. So, do try it out for any languages you are working with. You cannot use Google to find direct answers to your code queries yet. DuckDuckGo can return a code snippet embedded in the search results, but I’m not sure about the scope and limitations of DuckDuckGo’s own feature. There are many code snippers sites on the web. 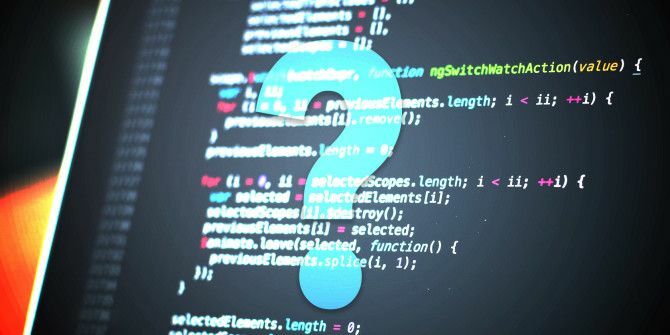 Even then, Microsoft Bing gives developers and those learning to code The 10 Best Beginner Projects for New Programmers The 10 Best Beginner Projects for New Programmers Want to learn programming but don't know where to start? These beginner programming projects and tutorials will start you off. Read More another way to find code samples and re-use them in their own programming projects. Explore more about: Microsoft Bing, Programming, Search Tricks. Just Google it or head to StackOverflow.